In case a refund or exchange is required, there's an easy way to refund the original sale and raise a new invoice. TIP: If you are refunding the client for a Product, the product item will be returned to your stock levels after the negative invoice has been raised. 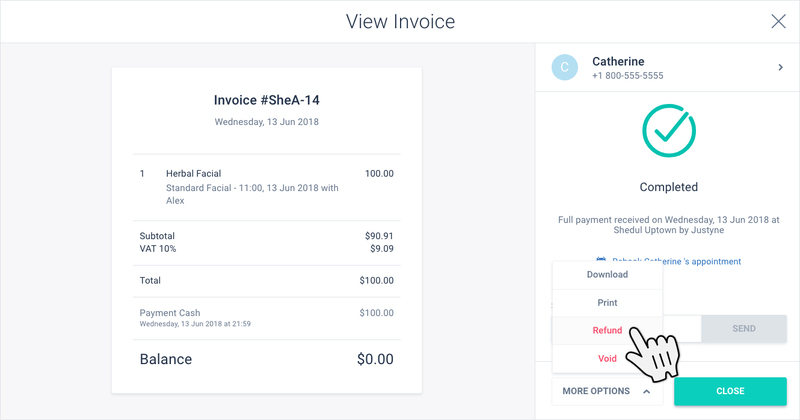 NOTE: Invoice dates and Payment dates cannot be backdated or edited as Shedul tracks all sales and reports in real time.